The streaming service has become more complicated. Here's how each of Sling TV's new packages work. How do add-on packages work? Does Sling TV have DVR? How does on demand work? Does Sling TV have a traditional channel guide? Does Sling TV have live local broadcast channels? How do regional sports networks work? 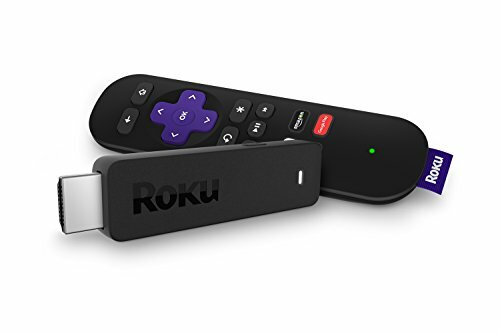 Can subscribers stream outside the home? Does Sling TV let users login to TV Everywhere apps? Sling TV is a much more expansive streaming video service than it used to be, but it hasn’t gotten any easier to understand. If anything, Sling has become more complicated since last year’s launch, with two base packages instead of one, more add-on packages to choose from, and new restrictions that apply to some local and sports channels. 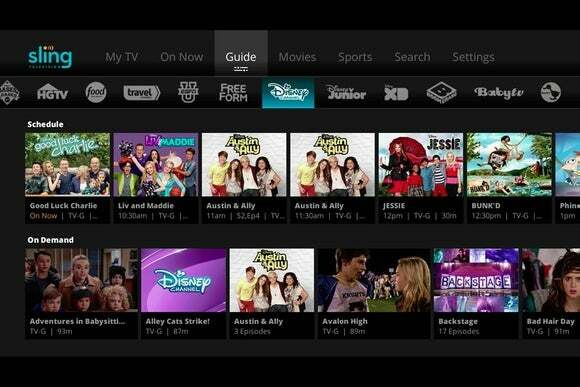 I've completely updated our guide to list all all of Sling TV’s channels and add-on packages. Below the chart, I’ll walk through some other things you need to know. Sling Orange is based on the original $20-per-month package that launched in 2015. It only allows you to stream to one device at a time, but it’s required to access Disney-owned channels such as ESPN. Sling Blue starts at $25 per month and allows streaming on three devices at once. While the channel lineup has lots of overlap with Sling Orange, it also has some channels that aren’t available through its cheaper counterpart, such as Fox-owned channels, the NFL Network, and regional sports networks. If you want to subscribe to both packages, Sling offers them a discounted price of $40 per month. Once you’ve chosen a base package, you can tack on any number of Sling’s “Extra” packages, most of which cost $5 per month. (One exception: The "Sports Extra" package for Sling Blue costs $10 per month.) Premium channels, including HBO, Cinemax, and Starz are also available as standalone add-ons. But here’s the tricky part: The channels in each add-on depend on the base package you’ve chosen. With Sports Extra, for instance, only Sling Orange subscribers get ESPN channels, while only Sling Blue subscribers can get NBC’s Golf Channel and NFL Redzone. In either case, Sling offers a package deal for its Kids, Comedy, News, and Lifestyle packages. The four-pack costs $10 per month instead of $20 per month. Yes, Sling offers a cloud DVR feature that costs $5 per month for 50 hours of storage. This is currently available on Fire TV, Apple TV, Android TV, Android mobile devices, Apple TV, Roku, and Xbox One. Support for iOS, Windows 10, and AirTV will arrive soon. Unlike some other streaming bundles, Sling does not slap an expiration date on recordings, nor does it prevent you from skipping commercials. On the downside, this feature isn’t supported by Disney-owned channels (ESPN, ESPN2, Disney Channel, Disney Junior, Disney XD, and Freeform). Even if you don’t pay for DVR, some channels support a feature called Replay, which lets you jump back and watch anything that aired in recent days. (The exact number of days varies by channel.) These channels also allow you to pause and rewind live programming. It didn’t used to, but recently Sling has added a more traditional grid view on Roku and Android TV devices similar to what you’d get on a cable box. This should expand to other platforms over time. Only in select markets, with select packages. For Sling Orange subscribers, a Broadcast Extra bundle is available with ABC, Univision, and Unimas in Chicago, Fresno-Visalia, Houston, Los Angeles, New York, Philadelphia, Raleigh-Durham, and San Francisco. With Sling Blue, Fox and NBC are available live in select markets. To find out which channels are available where you live, just plug your zip code into Sling’s support site. In all other markets, Fox and NBC offer on-demand programming only. The Sling Blue package includes regional sports from NBCSN/Comcast SportsNet and Fox Sports (including YES Network in the New York area). The exact channels you get are tied to your billing zip code and are verified based on your IP address. Enter your zip code on Sling’s support site to find out exactly which channels are available to you. Yes, but not from outside the United States. And if you travel out of town, you can’t stream local channels or regional sports networks. Only for certain channels, and on certain devices. Check Sling’s support site for the full list. Any other blackouts or restrictions to keep in mind? Last year, the NFL Network had its own caveat: Thursday Night Football games were blacked out whenever they also aired on NBC or CBS. Sling Blue subscribers who received NBC's local feed can watch those games, but everyone else had to watch on Twitter. This year, Amazon bought the streaming rights to Thursday Night Football, and will show the games to Prime subscribers at no extra charge. We’ll have to see whether a similar limitation applies. Any other questions? Post your questions on TechHive's Facebook page or send me a note on Twitter.